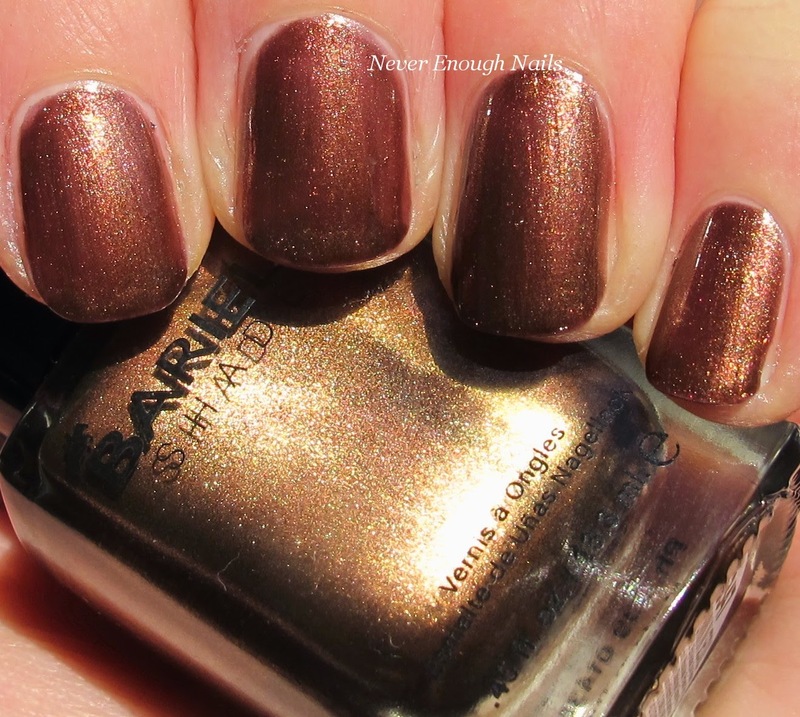 Never Enough Nails: Barielle Jetsetter Collection Swatches, Part 1! Today I have swatches of three of the polishes from the Barielle Jetsetter collection. The Jetsetter collection is actually a fall collection, but I got a bit overwhelmed with holiday polishes. Fortunately, it's also a great little group of polishes for January. Something about them really feels perfect for this time of year- a little soothing, but not boring at all. This first gorgeous pale periwinkle creme is Barielle Rain in Spain. Rain in Spain is a nice mix of periwinkle, lavender and some grey. It seems fresh, but also a little more subdued than some brighter periwinkle cremes. It's really a gorgeous color, I'm a little obsessed with it! 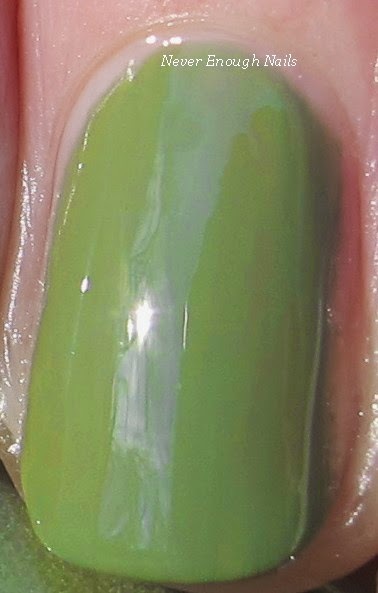 This is just two coats of Rain in Spain and look at how deliciously smooth and opaque it is! For a color this pale, this is a monumental feat. It goes on just perfectly and there is not a streak in sight. Color me impressed, Barielle! If you like colors like this, RUN and get Rain in Spain now! I love the mix of colors in this collection. We go from a girly periwinkle creme to a washed out green creme with an army feel. Barielle Gondola Ride is a dusty sage green. It's kind of like a lighter army green, maybe an army green after it's been rolling around in the dust and then laundered over and over for a year. Gondola Ride was also just two coats to full opacity. It was easy to apply, maybe a bit thinner than Rain in Spain, but not in a bad way. That little bubble on my middle nail is from my top coat. I don't know why I have bubbling with my top coats so often! 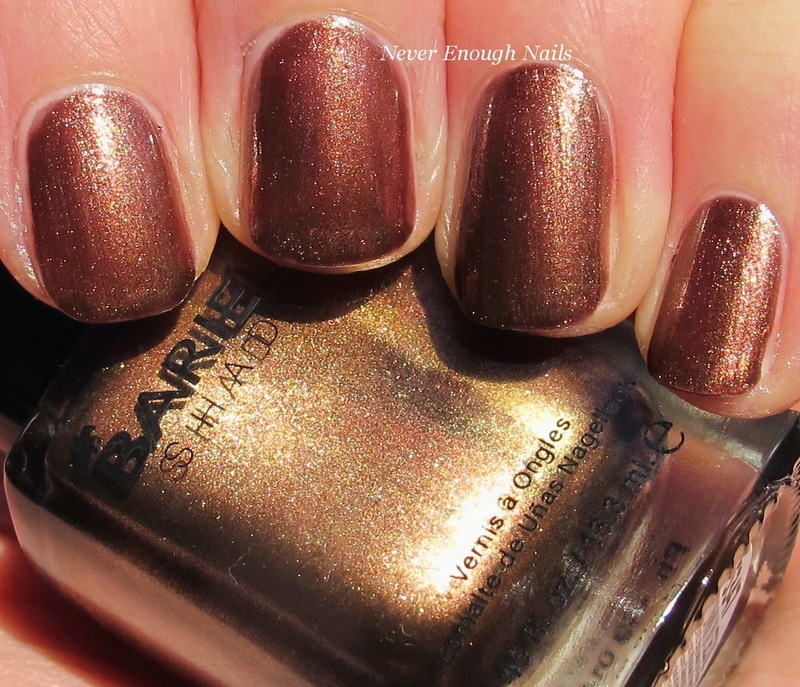 Barielle Autumn in Seoul is really the most fall-feeling polish in this collection. Autumn in Seoul is a red-brown copper shimmer. It's very warm and reminds me of a big pile of fall leaves! 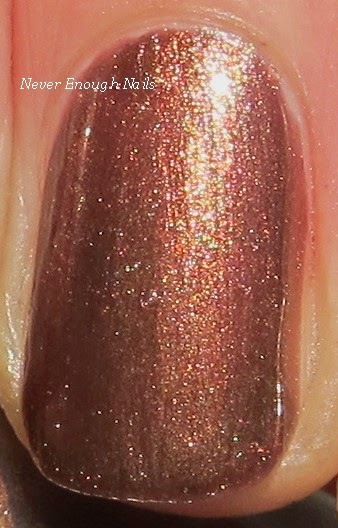 I do like to wear copper polish year round though, so it's not a fall only shade for me. The shimmer can look golden depending on the light, so that's a very pretty effect in the red copper background. This is two coats and nice easy application. I can see some visible brushstrokes in these pictures, but I didn't really notice them in person. I think they were kind of hidden by all of the shimmer. I think for the pictures, I could have almost used a third coat, but to my naked eye, this look perfectly even in two coats. I have the other three polishes from the Barielle Jetsetter collection coming up in a day or two, but so far I really love this collection. I'm almost glad I waited til now to swatch it. I love wearing colors like these in January. The Barielle Jetsetter collection is available now on Barielle.com. That's my favorite too Ananka!